4601701 MF 8110 MASSEY FERGUSON MF 8110 wheel tractor. Spare Parts Catalog. 4601702 MF 8120 MASSEY FERGUSON MF 8120 wheel tractor. Spare Parts Catalog. 4601703 MF 8130 MASSEY FERGUSON MF 8130 wheel tractor. Spare Parts Catalog. 4601704 MF 8140 MASSEY FERGUSON MF 8140 wheel tractor. Spare Parts Catalog. 4601705 MF 8150 MASSEY FERGUSON MF 8150 wheel tractor. Spare Parts Catalog. 4601706 MF 8160 MASSEY FERGUSON MF 8160 wheel tractor. Spare Parts Catalog. 4601707 MF 8170 MASSEY FERGUSON MF 8170 wheel tractor. Spare Parts Catalog. 4601708 MF 8180 MASSEY FERGUSON MF 8180 wheel tractor. Spare Parts Catalog. 4601709 MF 8200 MASSEY FERGUSON MF 8200 wheel tractor. Spare Parts Catalog. 4601710 MF 8210 MASSEY FERGUSON MF 8210 wheel tractor. Spare Parts Catalog. 4601711 MF 8220 MASSEY FERGUSON MF 8220 wheel tractor. Spare Parts Catalog. 4601712 MF 8220 Xtra MASSEY FERGUSON MF 8220 Xtra wheel tractor. Spare Parts Catalog. 4601713 MF 8240 MASSEY FERGUSON MF 8240 wheel tractor. Spare Parts Catalog. 4601714 MF 8240 Xtra MASSEY FERGUSON MF 8240 Xtra wheel tractor. Spare Parts Catalog. 4601715 MF 8245 MASSEY FERGUSON MF 8245 wheel tractor. Spare Parts Catalog. 4601716 MF 8250 MASSEY FERGUSON MF 8250 wheel tractor. Spare Parts Catalog. 4601717 MF 8250 Xtra MASSEY FERGUSON MF 8250 Xtra wheel tractor. Spare Parts Catalog. 4601718 MF 8260 MASSEY FERGUSON MF 8260 wheel tractor. Spare Parts Catalog. 4601719 MF 8260 LST MASSEY FERGUSON MF 8260 LST wheel tractor. Spare Parts Catalog. 4601720 MF 8270 MASSEY FERGUSON MF 8270 wheel tractor. Spare Parts Catalog. 4601721 MF 8280 MASSEY FERGUSON MF 8280 wheel tractor. Spare Parts Catalog. 4601722 MF 8450 MASSEY FERGUSON MF 8450 wheel tractor. Spare Parts Catalog. 4601723 MF 8450 Dyna-VT Datatronic 3 MASSEY FERGUSON MF 8450 Dyna-VT Datatronic 3 wheel tractor. Spare Parts Catalog. 4601724 MF 8450 Tier 2 MASSEY FERGUSON MF 8450 Tier 2 wheel tractor. Spare Parts Catalog. 4601725 MF 8450 Tier 2 Dyna-VT MASSEY FERGUSON MF 8450 Tier 2 Dyna-VT wheel tractor. Spare Parts Catalog. 4601726 MF 8450 Tier 3 MASSEY FERGUSON MF 8450 Tier 3 wheel tractor. Spare Parts Catalog. 4601727 MF 8450 Tier 3 Dyna-VT MASSEY FERGUSON MF 8450 Tier 3 Dyna-VT wheel tractor. Spare Parts Catalog. 4601728 MF 8460 MASSEY FERGUSON MF 8460 wheel tractor. Spare Parts Catalog. 4601729 MF 8460 Dyna-VT Datatronic 3 MASSEY FERGUSON MF 8460 Dyna-VT Datatronic 3 wheel tractor. Spare Parts Catalog. 4601730 MF 8460 Tier 2 MASSEY FERGUSON MF 8460 Tier 2 wheel tractor. Spare Parts Catalog. 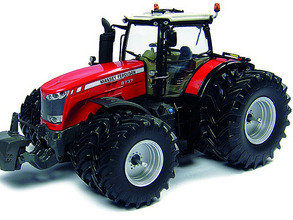 4601731 MF 8460 Tier 2 Dyna-VT MASSEY FERGUSON MF 8460 Tier 2 Dyna-VT wheel tractor. Spare Parts Catalog. 4601732 MF 8460 Tier 3 MASSEY FERGUSON MF 8460 Tier 3 wheel tractor. Spare Parts Catalog. 4601733 MF 8460 Tier 3 Dyna-VT MASSEY FERGUSON MF 8460 Tier 3 Dyna-VT wheel tractor. Spare Parts Catalog. 4601734 MF 8470 MASSEY FERGUSON MF 8470 wheel tractor. Spare Parts Catalog. 4601735 MF 8470 Dyna-VT Datatronic 3 MASSEY FERGUSON MF 8470 Dyna-VT Datatronic 3 wheel tractor. Spare Parts Catalog. 4601736 MF 8470 Tier 2 MASSEY FERGUSON MF 8470 Tier 2 wheel tractor. Spare Parts Catalog. 4601737 MF 8470 Tier 2 Dyna-VT MASSEY FERGUSON MF 8470 Tier 2 Dyna-VT wheel tractor. Spare Parts Catalog. 4601738 MF 8470 Tier 3 MASSEY FERGUSON MF 8470 Tier 3 wheel tractor. Spare Parts Catalog. 4601739 MF 8470 Tier 3 Dyna-VT MASSEY FERGUSON MF 8470 Tier 3 Dyna-VT wheel tractor. Spare Parts Catalog. 4601740 MF 8480 MASSEY FERGUSON MF 8480 wheel tractor. Spare Parts Catalog. 4601741 MF 8480 Dyna-VT Datatronic 3 MASSEY FERGUSON MF 8480 Dyna-VT Datatronic 3 wheel tractor. Spare Parts Catalog. 4601742 MF 8480 Tier 2 MASSEY FERGUSON MF 8480 Tier 2 wheel tractor. Spare Parts Catalog. 4601743 MF 8480 Tier 2 Dyna-VT MASSEY FERGUSON MF 8480 Tier 2 Dyna-VT wheel tractor. Spare Parts Catalog. 4601744 MF 8480 Tier 3 MASSEY FERGUSON MF 8480 Tier 3 wheel tractor. Spare Parts Catalog. 4601745 MF 8480 Tier 3 Dyna-VT MASSEY FERGUSON MF 8480 Tier 3 Dyna-VT wheel tractor. Spare Parts Catalog. 4601746 MF 8650 MASSEY FERGUSON MF 8650 wheel tractor. Spare Parts Catalog. 4601747 MF 8650 Datatronic CCD MASSEY FERGUSON MF 8650 Datatronic CCD wheel tractor. Spare Parts Catalog. 4601748 MF 8650 Stage 3B MASSEY FERGUSON MF 8650 Stage 3B wheel tractor. Spare Parts Catalog. 4601749 MF 8650 Tier 2-3 MASSEY FERGUSON MF 8650 Tier 2-3 wheel tractor. Spare Parts Catalog. 4601750 MF 8660 MASSEY FERGUSON MF 8660 wheel tractor. Spare Parts Catalog. 4601751 MF 8660 Datatronic CCD MASSEY FERGUSON MF 8660 Datatronic CCD wheel tractor. Spare Parts Catalog. 4601752 MF 8660 Stage 3B MASSEY FERGUSON MF 8660 Stage 3B wheel tractor. Spare Parts Catalog. 4601753 MF 8660 Tier 2-3 MASSEY FERGUSON MF 8660 Tier 2-3 wheel tractor. Spare Parts Catalog. 4601754 MF 8670 MASSEY FERGUSON MF 8670 wheel tractor. Spare Parts Catalog. 4601755 MF 8670 Datatronic CCD MASSEY FERGUSON MF 8670 Datatronic CCD wheel tractor. Spare Parts Catalog. 4601756 MF 8670 Stage 3B MASSEY FERGUSON MF 8670 Stage 3B wheel tractor. Spare Parts Catalog. 4601757 MF 8670 Tier 2-3 MASSEY FERGUSON MF 8670 Tier 2-3 wheel tractor. Spare Parts Catalog. 4601758 MF 8680 MASSEY FERGUSON MF 8680 wheel tractor. Spare Parts Catalog. 4601759 MF 8680 Datatronic CCD MASSEY FERGUSON MF 8680 Datatronic CCD wheel tractor. Spare Parts Catalog. 4601760 MF 8680 Stage 3B MASSEY FERGUSON MF 8680 Stage 3B wheel tractor. Spare Parts Catalog. 4601761 MF 8680 Tier 2-3 MASSEY FERGUSON MF 8680 Tier 2-3 wheel tractor. Spare Parts Catalog. 4601762 MF 8690 MASSEY FERGUSON MF 8690 wheel tractor. Spare Parts Catalog. 4601763 MF 8690 Datatronic CCD MASSEY FERGUSON MF 8690 Datatronic CCD wheel tractor. Spare Parts Catalog. 4601764 MF 8690 Stage 3B MASSEY FERGUSON MF 8690 Stage 3B wheel tractor. Spare Parts Catalog. 4601765 MF 8690 Tier 2-3 MASSEY FERGUSON MF 8690 Tier 2-3 wheel tractor. Spare Parts Catalog. 4601766 MF 8727 MASSEY FERGUSON MF 8727 wheel tractor. Spare Parts Catalog. 4601767 MF 8727 Datatronic CCD MASSEY FERGUSON MF 8727 Datatronic CCD wheel tractor. Spare Parts Catalog. 4601768 MF 8727 Dyna-VT MASSEY FERGUSON MF 8727 Dyna-VT wheel tractor. Spare Parts Catalog. 4601769 MF 8730 MASSEY FERGUSON MF 8730 wheel tractor. Spare Parts Catalog. 4601770 MF 8730 Datatronic CCD MASSEY FERGUSON MF 8730 Datatronic CCD wheel tractor. Spare Parts Catalog. 4601771 MF 8730 Dyna-VT MASSEY FERGUSON MF 8730 Dyna-VT wheel tractor. Spare Parts Catalog. 4601772 MF 8732 MASSEY FERGUSON MF 8732 wheel tractor. Spare Parts Catalog. 4601773 MF 8732 Datatronic CCD MASSEY FERGUSON MF 8732 Datatronic CCD wheel tractor. Spare Parts Catalog. 4601774 MF 8732 Dyna-VT MASSEY FERGUSON MF 8732 Dyna-VT wheel tractor. Spare Parts Catalog. 4601775 MF 8735 MASSEY FERGUSON MF 8735 wheel tractor. Spare Parts Catalog. 4601776 MF 8735 Datatronic CCD MASSEY FERGUSON MF 8735 Datatronic CCD wheel tractor. Spare Parts Catalog. 4601777 MF 8735 Dyna-VT MASSEY FERGUSON MF 8735 Dyna-VT wheel tractor. Spare Parts Catalog. 4601778 MF 8737 MASSEY FERGUSON MF 8737 wheel tractor. Spare Parts Catalog. 4601779 MF 8737 Datatronic CCD MASSEY FERGUSON MF 8737 Datatronic CCD wheel tractor. Spare Parts Catalog. 4601780 MF 8737 Dyna-VT MASSEY FERGUSON MF 8737 Dyna-VT wheel tractor. Spare Parts Catalog. 4601781 MF 9240 MASSEY FERGUSON MF 9240 wheel tractor. Spare Parts Catalog.